We cater to successful individuals and companies who demand unique expertise in the realm of innovative financial strategies. "Intelligent Designs for the Accumulation and Preservation of Wealth"
We are expert in financial risk analysis and in the custom design of efficiently structured transactions to mitigate such risks. Sophisticated individuals rarely utilize “retail” financial products to achieve their financial goals. 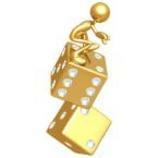 The odds are stacked highly against traditional financial planning succeeding according to plan. Success with mainstream strategies is more of a crapshoot. Without a “crystal ball,” few do get lucky, but most don’t. The best assurance of a successful accumulation of wealth is not solely the product of choosing the right investments, but must be enhanced with a careful choice of strategies and of how money is used. It is not only the understanding of diverse financial tools, but how artfully they are applied that differentiates advisors. Savvy individuals utilize specialized strategies crafted in the realms of corporate finance. Such strategies employ a collaboration of legal, tax and finance structures. They are “engineered” to be more intelligent ways of increasing wealth, taking advantage of every possible opportunity to protect against downside risk, decrease tax drain and optimize real accumulation. These proactive strategies will never be made available “on the street,” but only through the handful of firms who have participated in their design. We are educated on the latest cutting-edge planning strategies, have the experience to understand which strategies are most applicable, and can artfully engineer a combination of strategies to optimize the client’s goals. If your aggregate business and personal net worth is at least seven-figures, our expertise can be the difference in assuring your long-term financial success.